It’s been really hard not to shout about this project all year long, but now that it’s complete: these gala materials have been one of our most fun projects to date! As the only west coast host to The Rise of the Jack O’Lanterns, Descanso set their fundraising gala ahead of the public event as an evening garden wonderland among the carved pumpkin sculptures. 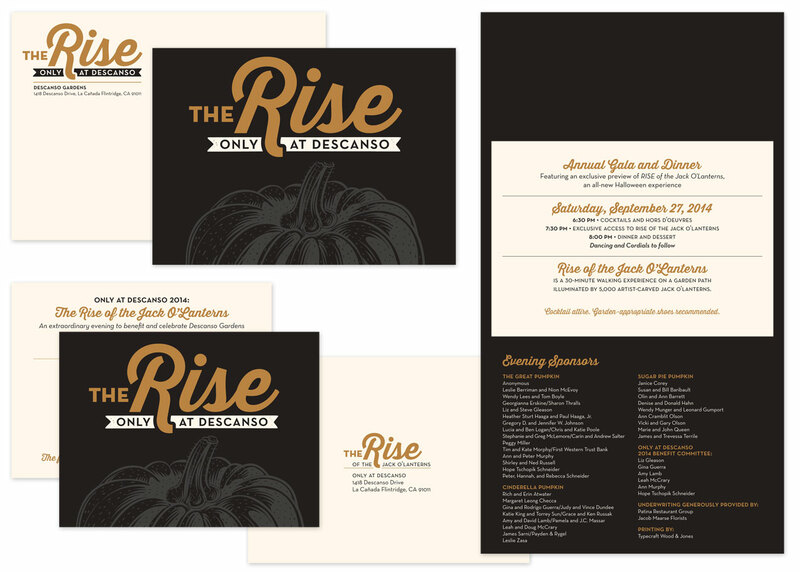 We decided to glam it up by printing metallic copper on cream paper, adding an elegant twist to fall festivities. The calendar leading up to this exclusive event is a long one, so we got started more than 6 months out with an overall look & feel, and initial commitment materials in the form of an extended letterhead set. 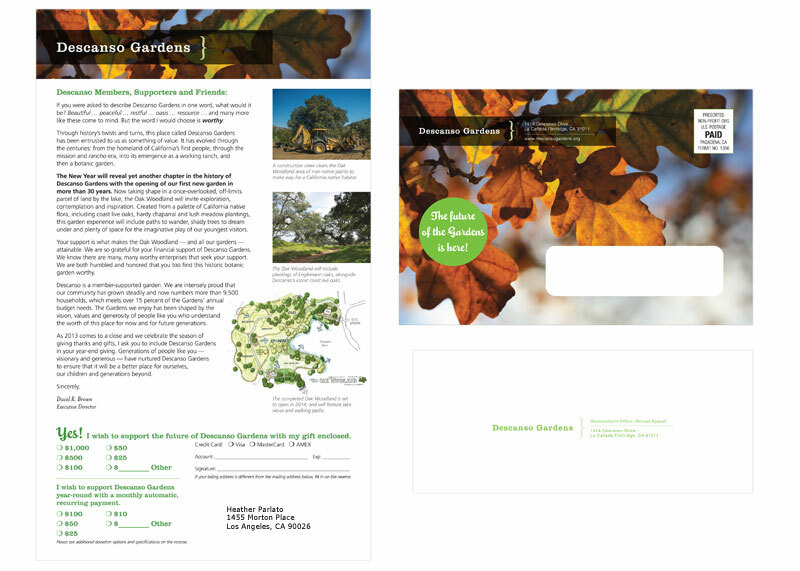 Next came a save-the date invite, and eventually the event invitation, finishing up with on-site collateral. We definitely had a budget to keep in mind, and managed to create really beautiful pieces by going 2-color and running together on similar stocks, and layering specialty papers together. 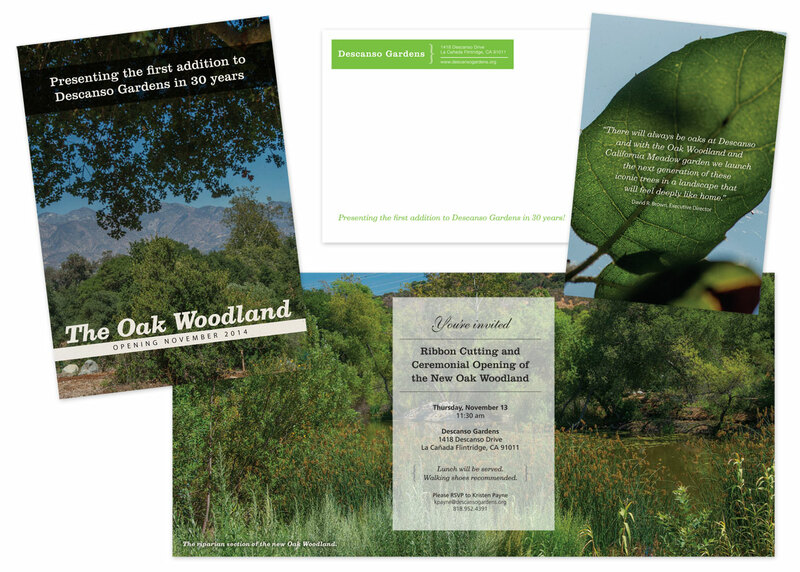 I’m really pleased with how these pieces work together, and Descanso Gardens reported that this gala garnered increased commitments and donations from the previous year. + See the complete project here. 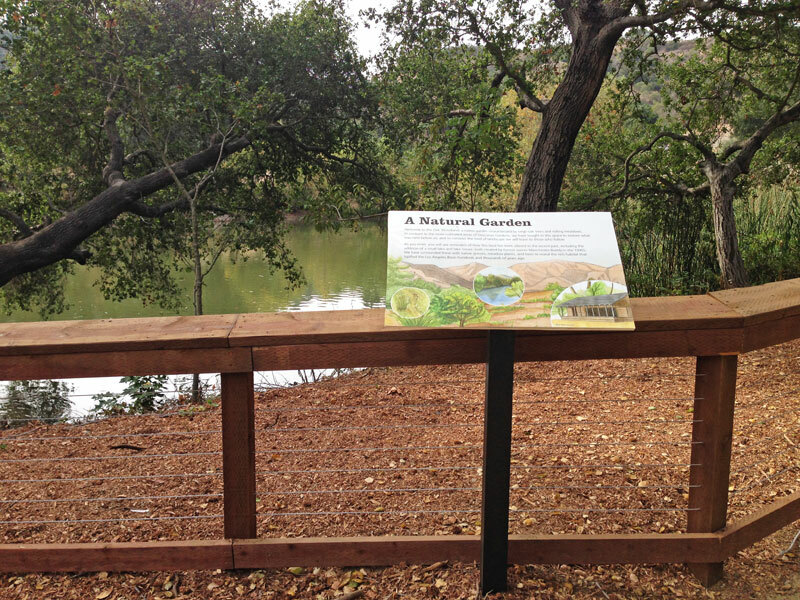 The Center Circle members at Descanso Gardens are a special sector of supporters who donate at a premium and highly value the grounds they help protect. 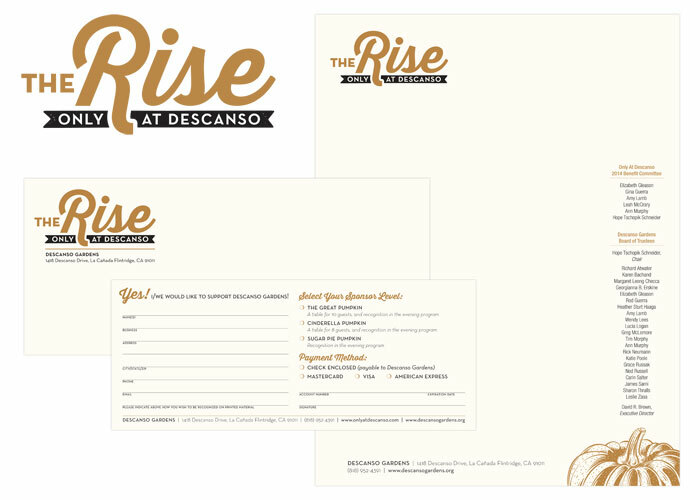 In turn, Descanso has a selection of events, a personalized welcome kit and focused communications that require a unique identity reflective of this group. We built an identity for Center Circle collateral around one of the main colors in their extended palette and tied it into one of Descanso’s specialties: cherry blossoms. 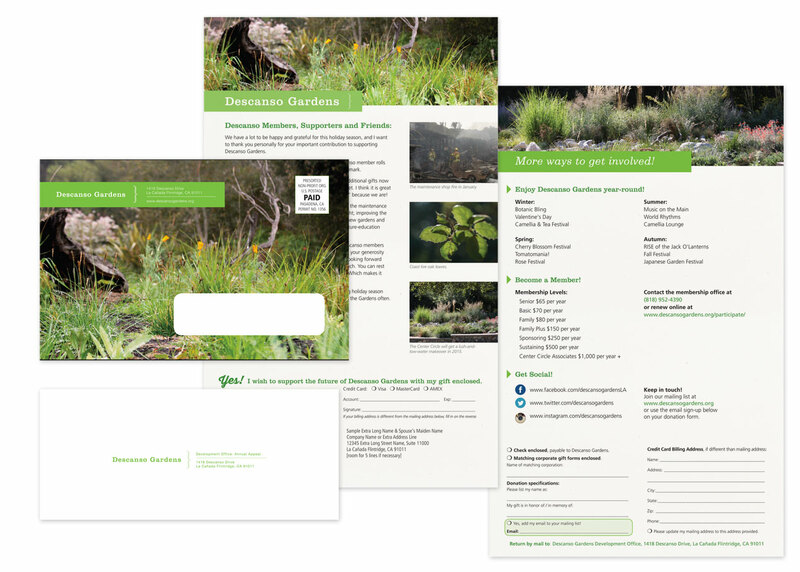 In addition to a stationery set, the welcome kit includes tips on all the ways to maximize the membership experiences, delivers membership cards, and contains a personal note from the director. 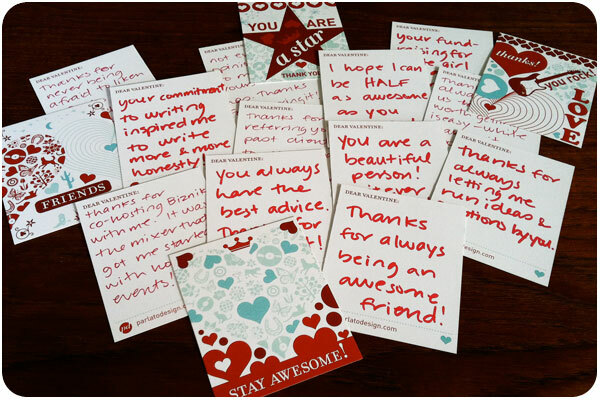 compliment-bomb your friends with a gaggle of valentines! probably the only weapons of mass appreciation you can get away with sending through the US mail are compliment bombs! why spread all your valentines around if you really want to say a bunch of nice things to one person? shower them with niceness, write a unique sentiment on each card in my school-style valentine packs benefitting dayna stephens and mail it, hide it in a sure-to-find place or hand-deliver to your most valuable targets. this idea came about when my super-awesome friend, colleen, decided to sponsor a pack of valentines with the instructions that i should donate them to some lucky person who would use them. and that’s a real nice idea, but i said NO WAY! because colleen is one of my favorite people, and i’m not sure if she knows the profound effect she has on everyone around her. so i thought, what if i just write all her valentines back to her and surprise her with them [i hope she gets them before she reads this post]. beyond making something nice for a friend, it’s a great exercise to list all the things you’re grateful for—even in just one person. imagine the connectedness you can create by identifying your gratitude for everyone you know! so skip the flowers [plant seeds instead and enjoy them all year], skip the chocolates [unless it’s that dark chocolate with sea salt caramel bar from trader joes, i’ll take that any day], click on the BUY button below and get started on building your very own homemade BOMBS! of love, that is. i don’t stand to make a penny here, once i pay the state and the post office, all the profits go to help dayna stephens. we’re in the home stretch, and if we sell them out, i’ll double your money in a matching donation! let’s do it! holiday cards are in the parlato design studio store! it’s that time of year again, and the store is stocked with colorful, festive holiday cards, gift tags and thank you cards. choose your favorite style and write thoughtful notes to family, friends, clients & colleagues. 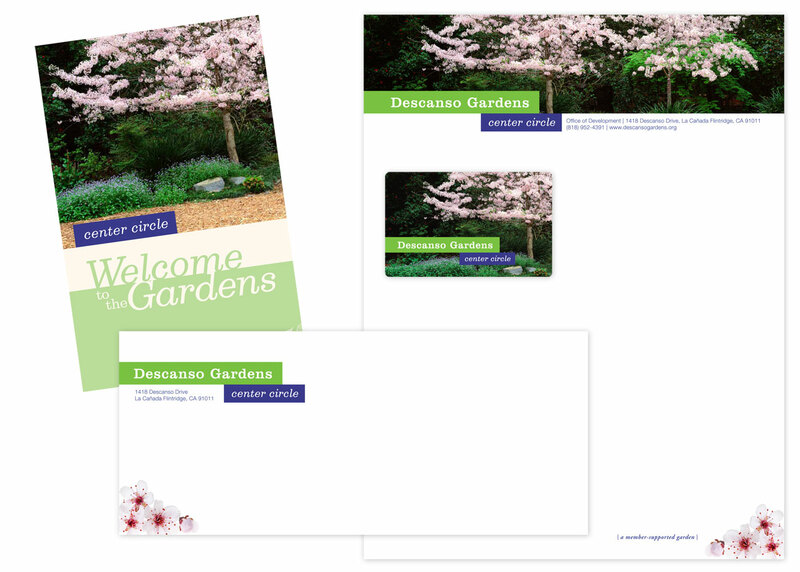 all cards are blank inside so you can personalize a note, and all are printed sustainably on neenah environment 100% post-consumer waste paper with matching vellum-finish envelopes. choose your favorite design, or go for a variety pack! gift tag special: 3 of each style [set of 12]: free with each set of holiday cards! dress up your gifts with festive gift tags designed to match your holiday cards! say a resounding thanks to the people who make your day, week, or year fantastic! i’ll try not to add to the chorus of disbelief that the year is practically over and instead say: congratulations, we all made it another year! since the calendar allows us this time to regroup over the holidays and start fresh in the new year, i like to take a couple days sometime in december to do a year-end retreat. whether you get out of town to a new location to clear your head, or take a stay-cation right in your living room, it’s a good time to reflect on the past year, list out any new goals you’d like to incorporate, and chart out a marketing plan for the coming year. this not only allows you to take more control of your schedule, but you save money when you plan ahead, strategize on how best to attack these projects, and avoid rush charges. if you’re not sure where to start in planning a marketing calendar, use these questions to get the basic framework going: does your business have any fixed dates for events or promotions you already know you’ll be working with? 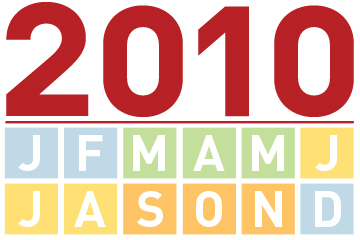 does your industry have any events your business participates in [or would like to]? are there holidays that you can use as a good excuse to reach out with a personalized communication? and alternately, where are the stretches where none of these things happen, and what can you do with them? once you have these dates & events to work with, ask yourself what type of communication would work best in each case. a postcard? a promotional piece? email newsletter? a combination of a few of these? for promoting your own events, you’ll want to sketch out a specific promotion strategy, but for periodic points of contact, you can pick the best format for the occasion and try to switch it up so your market gets used to seeing the flexibility of your brand. for example, as a designer, sending my own cards on major card holidays is a given. i also commit to a monthly email newsletter, and i like celebrating seasons, so for me, that’s a good time to use a postcard. this means, aside from my monthly newsletter, my contacts are seeing something from me most months of the year. for the stretches when you don’t really have anything planned is a good time to make something up! while my work is always accessible online & linked in my newsletter, i like to send out a little “what’s new” package of print samples every so often since most of my work is print matter. if you were thinking of offering a promotion, creating a unique piece that announces it and slating it for one of these months where you don’t have anything else going out is a good way to stay in touch. don’t be afraid to share something not related to business–share info on things you like, cool tools of the trade, or send a personal email inviting your colleagues to meet in person. once you chart these out on a calendar, it should be pretty easy to balance your communications over a few media formats and evenly space them through the year. then the tough part comes: commitment! the surest way to get all these things out the door is to create production schedules at least 6 weeks out for each. but don’t fret–if you got to this point, you can plan certain pieces together and get them done early, consolidate projects and put a little more effort upfront and save time down the line. if you have questions about how to strategize your production schedule, drop me an email and i’ll show you where you can combine & conquer!